I’ve known Corrina Gordon-Barnes for a few years now and my respect and affection for her have only deepened. 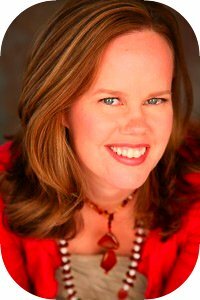 She coaches, consults and runs a very fine blog for conscious service providers. She’s got a lot of thoughts worth hearing about how to create a blog for yourself and how to do it in such a way that it actually gets you clients rather than wasting your time (In fact, she’s made her popular Blog for Clients course available as a self-study training course). Blogging is something I know a bit about, having written 600+ blog posts myself. However, I can tell you that I’ve written precisely zero of them with any sense of strategy. It’s been a way for me to get clear on my own thoughts. What Corrina is offering here is a far more strategic, wise and profitable investment of time than anything I’ve done. So, I thought I would invite her to share her thoughts on the matter. 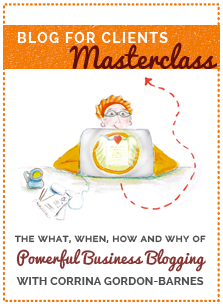 Tad: What is the difference between blogging and blogging for clients? Corrina: I like to use the analogy of cooking. Scenario one: I’m by myself. I’m cooking a soup. Yum, I’m going to really enjoy this soup. I’ll just cook according to my taste, I won’t consider quantities, I’ll just focus completely for myself; my and my soup is what I’m all about. Scenario two: I want to feed my friends. They’re hungry. They’re coming over in two hours. I think about their allergies, their taste preferences. I plan out my cooking so I have enough provision for all of them and so that it’s ready on time for them. This is the difference. Blogging is for me; blogging for clients is when I focus on others, think about their needs, think about how I can serve them, and then work backwards, getting strategic? about how to meet their needs through what I’m offering. When we’re blogging for clients, we blog in such a way that it gives potential clients a taste of our approach, plus – importantly – what we have to offer through our paid-for products and services. When we blog, we give our potential clients an opportunity to fall in love with us, to feel safe with us, to feel that somehow we’re aligned and belong together. We’re in the same resonance. Blogging might be fun in and of itself, but blogging for clients actually leads to clients, increased credibility and increased income. Blogging for clients is not about writing as a hobby; it’s about blogging as your key marketing activity. It actually works for you, supporting your business to grow and flourish and become profitable. AND it’s thoroughly enjoyable. Why do most people’s blogs get so little engagement and no clients for them? What are they missing? They don’t first decide what they’re selling and then work backwards from there. They don’t reverse engineer their blogs. In my self-study training course, Blog for Clients, we start with the product or service you want to sell more of, or have people hire you more frequently for, and then we choose blog topics and structure the blogs with this end in mind. Wow. That’s so simple. Totally. People at first worry about being strategic or having structure, they worry it’s going to limit their freedom or creativity, but here’s the truth: the writing of the blog actually can be more creative and free-flowing, once you’re writing from strategy and structure. Another thing people miss is that they don’t give blogging enough of a chance. They give up too soon. And they don’t learn how to do it properly, from people who’ve figured out what works and what doesn’t. They stumble along, trying to figure it out themselves, rather than giving themselves the chance to invest in a learning journey with this incredible marketing approach. Blogging is the #1 way I built my business over the decade I’ve been self-employed. People look at the word “blogging” and think it looks like something teenagers do, or people who have too much time on their hands. They don’t realize the power at their finger-tips! What are the top three blunders people make when blogging for clients? And what should they be doing differently? Blunder #1: They try to speak to everyone, a “spray and pray” kind of approach, rather than honing in on ONE ideal client and writing every blog for them. Solution: Write each blog to ONE person. I actually start my blogs, “Hey Hannah”, picture my ideal client, write the blog, and then delete the greeting at the end! Blunder #2: They don’t blog consistently. It’s sporadic, impulsive; they’ll write a flurry and then go awol for months. Think about your favourite TV show or magazine; we love that feeling of regularity, of being able to expect something will show up in our inbox or letter box or screen. We come to trust the producers. Solution: Commit to an editorial calendar; hold yourself accountable for contributing great value regularly to your community. Be in it for the long-game. Blunder #3: They forget that a blog is a conversation. We have a whole module in Blog for Clients about how to inspire more comments and what to do about them (because people worry about spam and trolls and negative comments). Solution: In the way you write, and in your encouragement of comments, remember that a blog is powerful because it’s a heart-to-heart two-way conversation. Any last advice of thoughts to people who are building their blogs to get clients? We’re not born knowing how to do marketing. Likewise, we’re not born knowing how to do blogging. I often hear from people after they’ve taken Blog for Clients, they say something like: “I nearly didn’t take this course. I knew how to write. I liked writing. I didn’t realize there was actually an art and science to blogging; I thought I could just figure it out” – and they’re so grateful that they learned how to do it so it actually WORKS for them, business-wise. Otherwise, we can enjoy blogging but we won’t see the fruits of our labour. And our business won’t reach the level it can go to, with blogging as the catalyst. Corrina Gordon-Barnes wants to live in a world where marketing is fun, clients turn up easily, and money flows to those who do work that helps and heals. 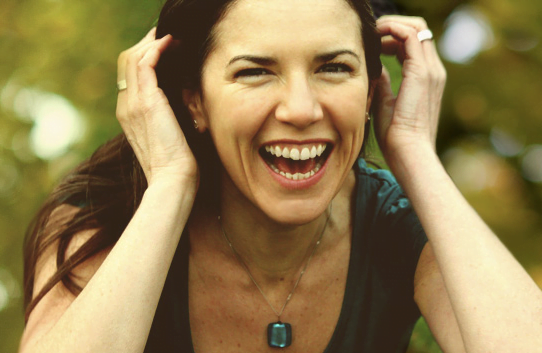 As a certified coach, marketing teacher and self-employment champion, she’s been featured on MindBodyGreen, The Daily Muse, LifeByMe and MarketingForHippies and published in The Ecologist, OM Yoga, Diva, and The London Paper. She’s author of Turn Your Passion to Profit: a step-by-step guide to getting your business off the ground. 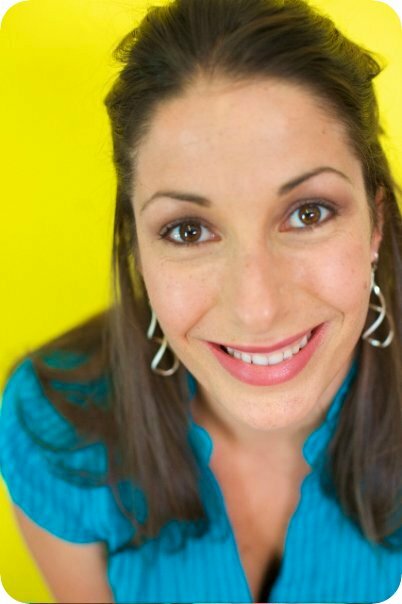 When she’s not writing blogs and teaching courses, you can find her reading chick-lit, making vegan blueberry cheesecake, and trying to catch her niece and nephew on the monkey bars. The Secrets of a Killer Blog Post. That is the title of the infographic and it is a great example of what a blog post 101 is all about, as a killer title is one of the vital components needed for success. Research shows that the post title is the only part of a blog post that the reader is guaranteed to see, so the pressure is on to come up with a snappy and interesting headline that makes someone want to read on and find out more. Grabbing the reader’s attention and persuading or tempting them to read more is the probably the ultimate goal when it comes to writing a killer blog post and the holy grail of blogging is finding the right formula or words in the title to give the reader an idea of what you are covering without giving too much away at the same time. Having cracked the killer-title part of the equation and persuaded someone to read the blog post using some of the tricks shown, you then need to hold the reader’s attention and engage them with maybe a shocking statistic, a bold claim or a question that gets them thinking about an answer. There are plenty of do’s and don’ts when it comes to mastering the secrets of writing a killer blog post so what are you waiting for? All is about to be revealed……. I met Dike Drummond (pictured here) in 2011 at a marketing workshop and loved him warm, positive attitude. I liked him instantly. He just started a new project that is so very on point around niching and a beautiful example of how our own wounds can be doorways to our truest niches. I am a doctor (Family Practice) who burned out at the age of 40 – 14 years ago now – and quit my medical practice. I have been a life and business coach and trainer in several non-healthcare niches since then and my heart has always been looking for a time and place to reach out to the people in the same situation I faced in 1998 — those who love taking care of patients and hate “the system” and its unsustainable expectations. I did some research to see if the landscape of personal development for physicians had changed and found a perfect storm. 1) The research shows 1 in 3 physicians are suffering from symptomatic burnout on any given office day – worldwide — regardless of specialty. And there is no reason to think burnout is any less prevalent in nurses or hospital administrators and others in the system. 2) Researchers have also proven a number of techniques effective in preventing and treating burnout – all of which I have either incorporated into my life or coached others on. These include Mindfulness, Work-Life Balance and Appreciative Inquiry … to name a few. 3) Even though these techniques are proven in the research – no one is teaching them on the internet. I created TheHappyMD.com and its evolving line of trainings and coaching to put the tools that work into the front line physicians who need them most. I realized that the person I have become here in 2012 is the exact person I would have so loved to meet back in 1998 … and if we had met, I am pretty sure I would still be practicing medicine in some fashion today. Once I realized this and saw the amount of burnout – and suffering – out there … the purpose of these last 12 years of my life became crystal clear. Your recent post about figuring out your niche poses a great question and for those of us who have some water under our bridge (it’s not the age, it’s the mileage) I believe it is THE question to build your “right livelihood” around. I resisted asking this BIG question for 2 decades and have only now done so. Changed my life drastically at a time when I needed it most. – Since then my life trajectory has taught me what I most needed to know back then … in first person experience … just like Anf in the comments below ! – And … lo and behold … there are tens of thousands of other people out there who are where I was back in the day – now 14 years ago – wondering what to do when burnout has taken away the drive to keep practicing medicine. – And … now I can help. THIS me has some answers that THAT 14 year ago me was missing. As I plan my business to serve my people … it is clear that it is about something MUCH bigger than me. I am in service. It is completely different than any other business I have created or worked in. I hear angels singing a LOT. Amazing. I have generated about 3500 hits a month to the site – we launched in January of 2012. I have nearly 500 people on my list … almost all of them doctors … and my coaching practice has 12 physician clients at the moment. I have my first corporate client and just delivered my first all staff speaking engagement to a hospital system in Alabama (I live in Washington state). I have also been picked up by a Healthcare Industry Speaker’s Bureau. Visitors to my site can download a couple of free reports. One teaches Appreciative Inquiry – a research proven method of personal growth where instead of working on problems, you focus on doing more of what is going right in your life. This is a way of seeing the world that is totally foreign to most docs and can change your outlook in a heartbeat. The second is a single breath release technique they can use to recenter and get present during the office day – something we all need and docs have never been taught. Once on my mailing list they get a weekly newsletter with burnout prevention tips and an invitation to a free, one hour “Discovery Session”. I am also nearing the final stages of my Work Life Balance and Boundaries Mastery Training for Physicians. This will be a 6 week very practical course on creating more work life balance delivered via the internet. Find the biggest sites/blogs and groups on the web and LinkedIn and pitch them good content. Guest blogging and posting my articles in Physician Groups on the internet and LinkedIn and SEO for search engine traffic. I guest blog at KevinMD.com and their facebook page. That generates a significant portion of my inbound traffic. I am also a HuffPost blogger. In healthcare this does not generate a lot of inbound traffic, but it does give a number of very high powered backlinks to my site. And I am compulsive about SEO on every blog post and that pays off. I know my niche search terms by heart and use the wordpress plugin SEOPressor to optimize to 90% or more on each term. Find a big problem and talk about it in a way that no one else does. Go where your people already are … the big blogs and groups in your niche. The bigger the site … the more they need your content. Offer quick tools that work right away and a free consult to the folks who need more than that. At its heart, what is this project/business really about for you? (beyond money, status and such). It is about healing the healers. In no other profession is the health and presence of the provider so important as in healthcare. If the doctor or nurse or the person drawing your blood is not getting their needs met – they can’t be there for you … can’t listen, empathize, touch or care. We have all been to doctors or hospitals where we have had this experience. And doctors are trained to ignore their own needs and the system is set up to treat them as disposable tools. It does not have to be this way. There are research proven tools to prevent and treat burnout. There are ways to create organizations where the health and wellbeing of the providers is as important as that of the patient AND these things – when implemented – will result in happier, healthier doctors, nurses and patients and more profitable healthcare organizations. Live training – especially in an All Staff setting where we can get nurses, doctors and administrators all together to talk about stress and burnout and be more human with each other. Internet delivered products to teach mindfulness and work-life balance to anyone anywhere in the world who could use it. Come to www.thehappymd.com and grab the Satisfaction Mind Flip free report and get on the mailing list. Tell all your stressed out friends in healthcare about the site – doctors, nurses, adminstrators …. everyone. 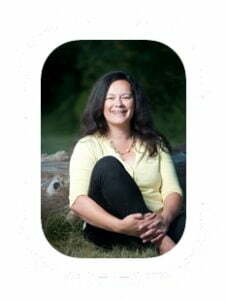 A little while ago, Charlotte Lammerhirt (pictured here) attended my daylong workshop for holistic practitioners in Calgary. Except she’s a mortgage broker. And yet, somehow she’s take the strategies and resources and done and amazing job at applying them. I thought I’d share her story as it not only gives a good idea of what I teach in that workshop but also just some plain old inspiration of what you can do to quickly and affordably improve your marketing as a service provider. Check out the links to her work. I think you might just be inspired at how warm and human marketing can be. I know that you are very busy but I just wanted to send you a thank you email…. My website is finally complete (yay!) but I just really wanted to send you this email of thanks…. Taking your day long workshop in the spring in Calgary really made a difference in my marketing. From that workshop I . . .
1) changed website designers and found someone who built and trained me on wordpress…so great! 6) I am on twitter! So right now I have a great website that I am sooooo proud of….I love it! Your workshop really made a difference in my business… Just so you know I do read all of your emails or at least I catch up on your site directly at least twice a week. It is so amazing what you share….all for free. I am still working on…. The feed back I have been getting in regards to the esthetics of the site have been good….They (i.e my friends and husband) think it looks good and is very professional. However, in terms of the content, they think that . . .
2) Some pages like my bio, may be too wordy and long winded i.e Char, no one is going to read all of that! 3) xtranormal.com! Funny but a little weird! So I think what I have decided to do is to listen to their input but go with my instincts. My friends and family are great but I am reading and studying all I can about marketing and the majority of what I am reading is to FIND YOUR NICHE. It’s hard as most of my friends are well meaning but none of them have taken any marketing courses!! So I need to stop asking them (a disguise for asking for their approval) and just do what I think is the best for my business. Share your thoughts and reflections below. I’m sure Charlotte would love to hear them. When I do my workshops, I often get people to brainstorm the types of content they might use to stay in touch with the people on their lists. And people come up with great ones. So, here’s the harvest from my past few workshops. I hope it inspires you with ideas. Notice how many of them express a really clear point of view and how the ones that focus on a particular niche are particularly cool and useful. If you’re feeling stuck on what kinds of content you could create read the below and then go and answer these questions. I promise content ideas galore. – monthly interviews with realtors, home inspectors, lawyers, title insurance brokers about the marketplace and their expertise in buying a new home. – How to set up a birth pool. – showing the science behind the woo woo. sharing the studies and results. For: LGBT women in Toronto suffering from anxiety or depression caused by issues around discovering their sexuality and coming out. For: socially awkward young adults. – VIDEO: “Real Moments of Power” – real men sharing a moment where they were powerful that weren’t hurting anyone. 2 minutes each. – VIDEO SERIES: “Instant Warrior Practice” – practical exercises for vitality, focus and confidence. Do you have any cool examples of content that you’ve seen or created that you want to share? Just write them below. So, at the beginning of the month, I invited people on my list to join my blog and wrote a little post explaining my thought on the three most vital keys to growing your blog following. I sent one email to my list and I’ve popped it onto facebook and twitter a few times. I’ve not done any intensive promotion via hubs and strategic alliances but I thought you might enjoy a quick update. I know these numbers are very small all things considered . . . but consider that I’ve barely started the campaign. So I write this to encourage you to see what you can do to yours. Might be easier than you think. I’ve got a goal of 1000 people subscribed to my blog by the end of April. And if you haven’t subscribed yet – then I invite you to do so here. Last week, Jaime Almond (pictured right) and I got to chatting about blogs and what sorts of content is good to have on them. me: really? what makes me so good do you think? me: hmm! i hadn’t thought about the importance of different styles in blogging. let’s do another brainstorm – what matters most in blogging! me: what are all the different blog formats you can think of? me: reviewing a book, movie or something. chats like this! me: yes! i’m a huge fan of including a really compelling picture at the top of every blog. it really transforms it. and i think it’s good to mix up the length. once in a while write an epic long one. other times – put out something that’s a couple of paragraphs. me: yay. i’ll put these on my blog next week. woot! me: might just do that! Jaime: then you could use actual data – also ask them what their favourite blogs are and why.